Last edited by coreseller; 10-24-2014 at 08:40 AM. Last edited by Nine8Six; 10-24-2014 at 08:50 AM. One in Shanghai I've tried almost got me to seriously panic... I wasn't feeling too good about it and will remember for a while. You're confusing the first (in which I worked as an actor) with the last (one I would never step foot in lol). One of the cardinal rules emphasized during training when I worked there was to NEVER touch nor make contact with the patrons, a BIG no-no!! After that was fire safety, the basement of the 3 story "School House" was a wiring maze that had to rival the bowels of NASA. Nine8Six, Did you ever make any progress on the 993 project? Not my bag, baby...but my teenage son wants to hit some, so I guess I have no say in it. We need some 993, 996 MKII, Lits, etc for prototyping! Are you volunteering? I completely understand walking away from the 993 project, from your prior description it sounded like a lot of work. The Car Of Pain ! 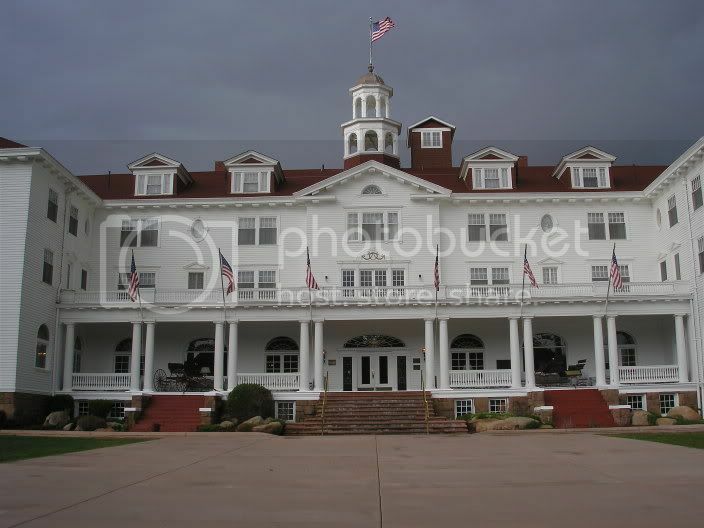 I've been to the Stanley Hotel in Estes Park twice. Pretty creepy. No actors, just the real thing. After spending some time there it became the inspriation for Stephen King to write "The Shining." "You are the caretaker, Mr. Torrence. You have always been the caretaker. I should know be cause I have always been here." I love these real life haunted house "experiences" with actors! They are a blast! But I agree with Core, no touching. And I'd never go into that last one. That looks like someone took "fun" a step too far.